HERES WHAT IVE LEARNED ABOUT RAISING BOYS... IF YOU KEEP - ProudMummy.com the Web's Community for Mums. "HERE'S WHAT I'VE LEARNED ABOUT RAISING BOYS... IF YOU KEEP ÉM BUSY, THEY'RE FINE. 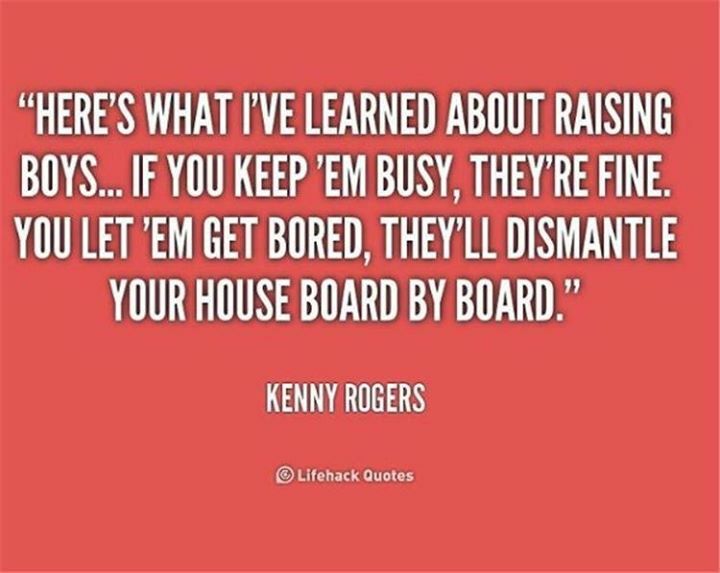 YOU LET 'EM GET BORED, THEY'LL DISMANTLE YOUR HOUSE BOARD BY BOARD." Adam Heath this is so Seb!! !